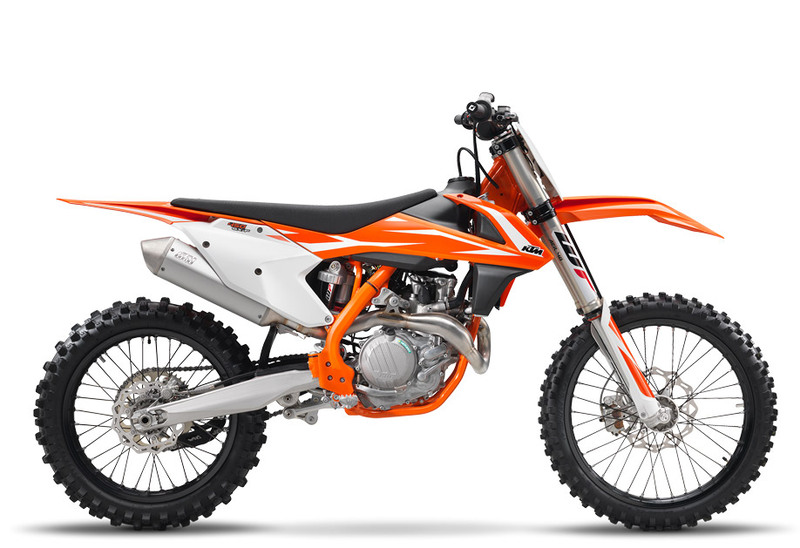 If gold is what you?re after, a KTM 450 SX-F is what you get. Thanks to its compact engine delivering explosive but controllable power, it?s the weapon of choice for the Red Bull KTM Factory Racing Team and the champion, Ryan Dungey. This READY TO RACE bike rules the AMA Supercross Championship. Its secret? Precise handling and arm-stretching grunt. Winners - line up here.^^Offer ends 30/04/19^^*Ride away price includes all offers, cashback, rebates and discounts.^^Please note this price is for Queensland only. Please contact your local KTM dealer for location specific pricing.